SmartAVI's XTPRO is a high resolution UXGA, stereo audio, IR and RS-232 extender that boosts signals up to 1,799 feet via unshielded twisted pair (UTP) CAT5 cabling. Powerful, Long-Range CAT5 Extender for HD and Control Signals The XTPRO XTREEM is one of SmartAVI's most comprehensive and powerful extension solutions to date. Capable of boosting 1080p (1920x1080) Full HD video and stereo audio signals across long-distances, the XTPRO XTREEM lives up to its label, going to extreme lengths while ensuring high quality distribution. 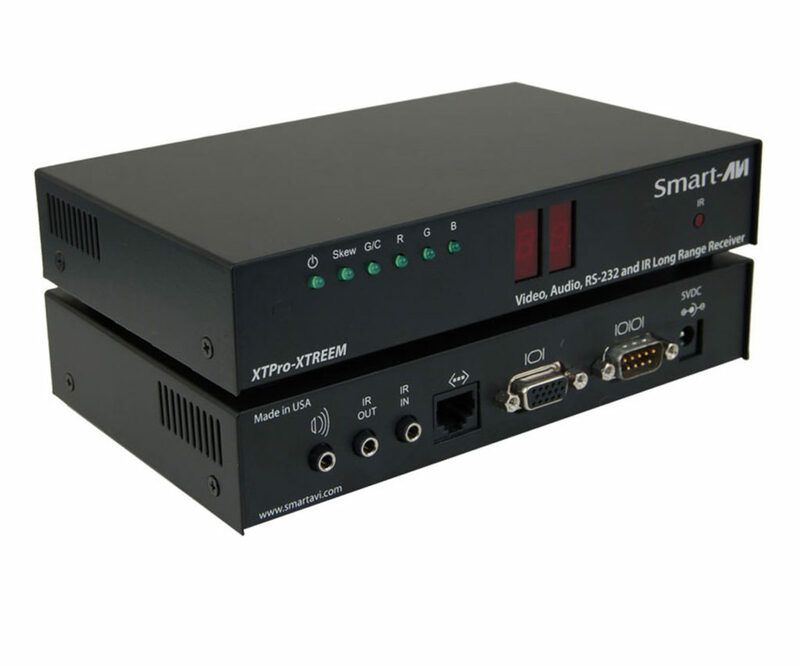 Better yet, the XTPRO XTREEM features IR and RS-232 signal extension, which sends commands to remote devices for enhanced operation like volume adjustment and channel switching. 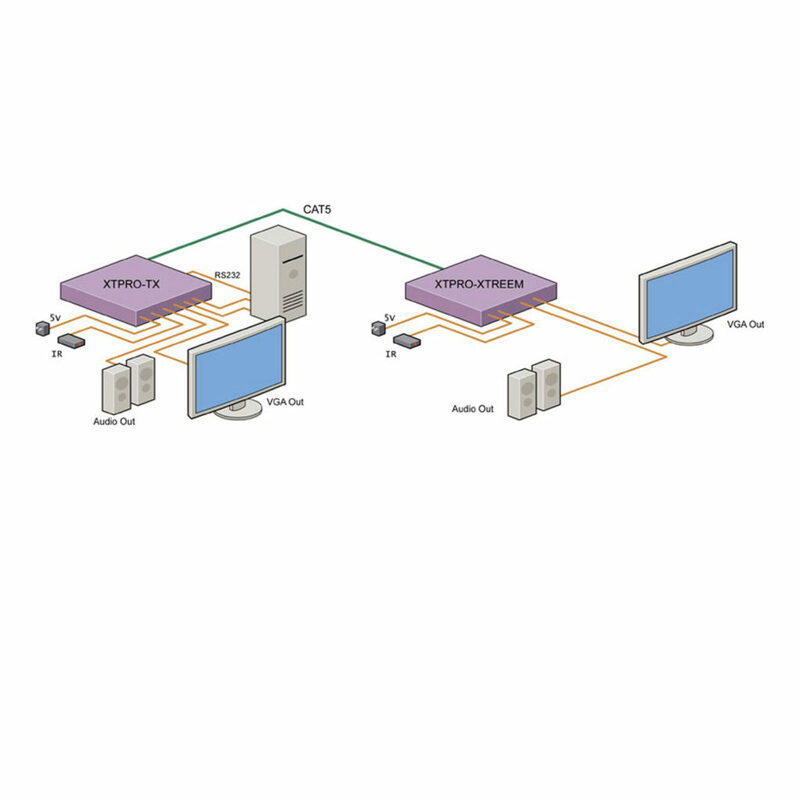 Affordable Cabling and Easy-to-Install Design The XTPRO XTREEM utilizes highly affordable CAT5 UTP cabling, which ensures signals are broadcast from source to display at peak quality without compromising performance. 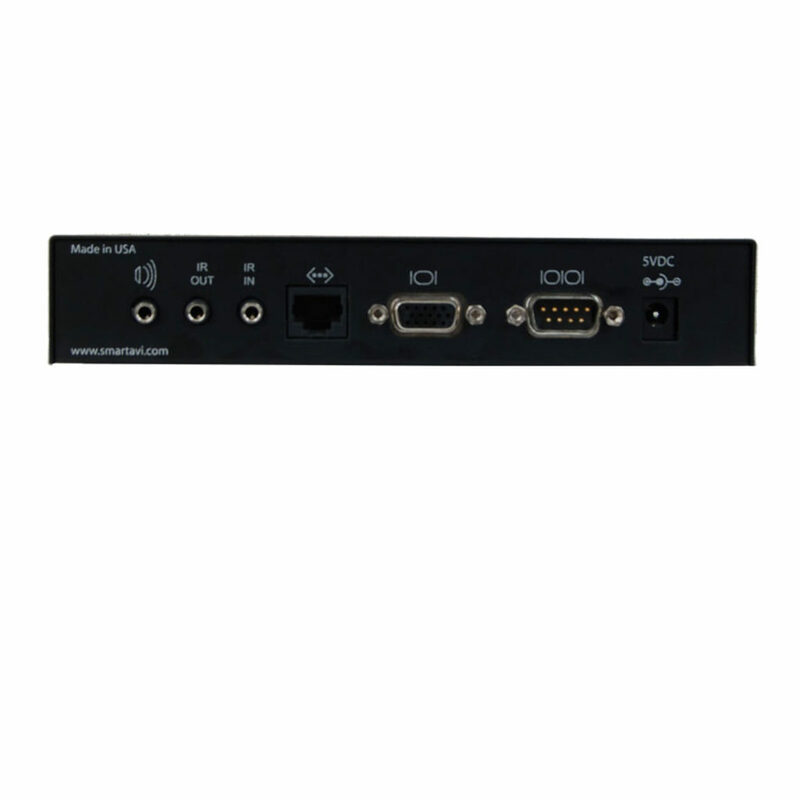 Plug-and-play ready, the XTPRO XTREEM integrates easily into existing AV set-ups and requires no technical skill to install: simply connect the units to their respective input-output devices, power them up, and enjoy your boosted AV signal range. A perfect fit for retail stores, hospitals, schools, airports, office spaces, entertainment venues, and more!